How to Install Docker CE on Ubuntu, Debian, Fedora, Arch, and CentOS guide is provided here. Note that older versions of docker ( docker and docker-engine), are no longer supported. At the moment, docker CE ( Community Edition) and docker EE ( Enterprise edition) are available. Docker is a container runtime engine which allows you to package an application with all of its dependencies into a standardized unit for software development. Docker containers are based on open standards allowing containers to run on all major Linux distributions and Microsoft operating systems with support for every infrastructure. Docker gives developers the freedom to define environments, and create and deploy apps faster and easier, and flexibility for IT ops to quickly respond to change. 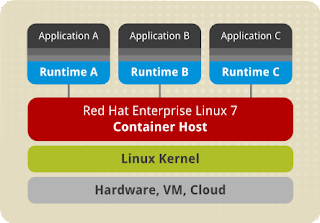 Containers isolate applications from each other and the underlying infrastructure while providing an added layer of protection for the application. Each virtual machine includes the application, the necessary binaries and libraries and an entire guest operating system – all of which may be tens of GBs in size. 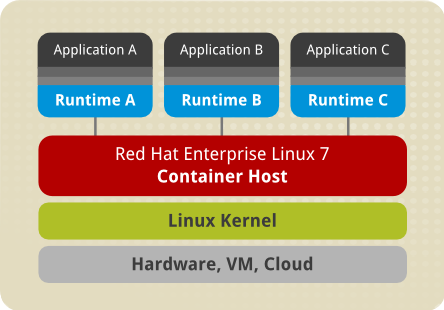 Containers include the application and all of its dependencies, but share the kernel with other containers. They run as an isolated process in userspace on the host operating system. They’re also not tied to any specific infrastructure – Docker containers run on any computer, on any infrastructure, and in any cloud. Docker gives you choice without complexity, from a laptop to a team, to private infrastructure and public cloud providers. Here we’ll cover installation of Docker CE on Ubuntu, Debian, Fedora, and CentOS and Arch Linux distributions. Uninstall Old version of Docker. Old versions of docker had the name docker or docker-engine. If you have it installed, first uninstall it. The Docker CE package is now called docker-ce.